Managing VoIP quality, UC network performance, and SIP trunks can be frustrating and time consuming – which drives up support costs, drags down service levels, and eats away your communications ROI. 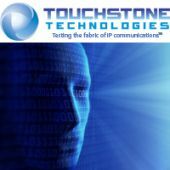 Touchstone's Intellimarc is a Tier 1 carrier deployed, software-based solution that provides per-call metrics that can be used to enforce SLAs, interface with billing systems, or simply monitor call quality in real time. Highly scalable from several to many thousands of concurrent sessions, Intellimarc agents can be deployed on any device that runs Linux or Windows, including Cisco routers. 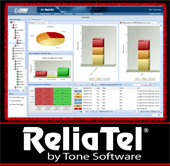 Contact us today to schedule your Intellimarc web demo!